Salt Tank, Max Graham feat. Jessica Jacobs, Siren, Andain, Lustral and more. This CD includes thirteen (w/one bonus track) songs that I thought would be a fitting finale to en masse, a group created by Dan Fitak and myself in 2000. 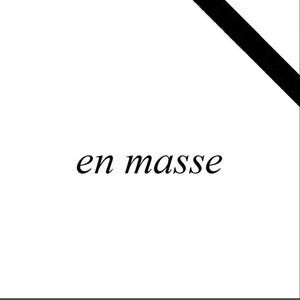 I had the privilege of mixing along side Dan for eight years as part of en masse. All the songs on this CD were some of Dan’s favorites. In November of 2007, Dan passed away after a tragic car accident. This CD was a very difficult set to mix, as it was the first CD that I mixed in six years without Dan’s involvement. Dan was my friend and one of the most talented DJs in the industry. Dan has given me great inspiration, and I strive to continue on with his dreams and goal. I hope you enjoy this classic trance set.